Every day until 1/12 — the 50th anniversary of Batman’s TV debut — we’re counting down our Top 13 episodes. For more info on our latest Batman ’66 celebration, click here. And bring on those comments — either here or in whichever social-media thread you found this. We want to hear your thoughts! Instant Freeze/Rats Like Cheese. 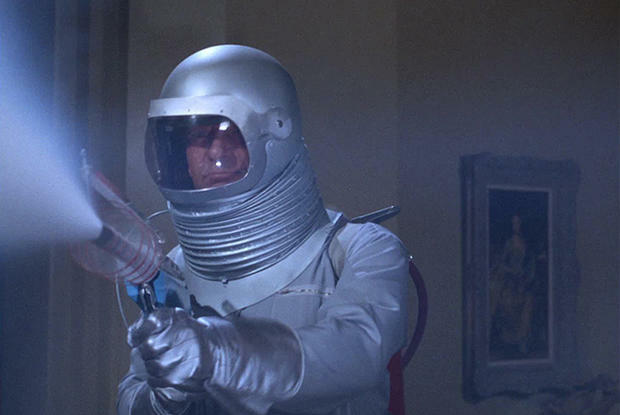 A first-season entry, Mr. Freeze’s series debut features the best plot of the character’s three appearances. It’s also an important milestone in Batman history, well beyond the show. Mr. Freeze made his comics debut some years earlier as Mr. Zero, a blink-and-you’ll-miss-him villain-of-the-month typical of those seen in the early Silver Age. This episode, which gives him the villainous name we know him by today, is an adaptation of that story with some holdover elements that were later largely dispensed with. The original Mr. 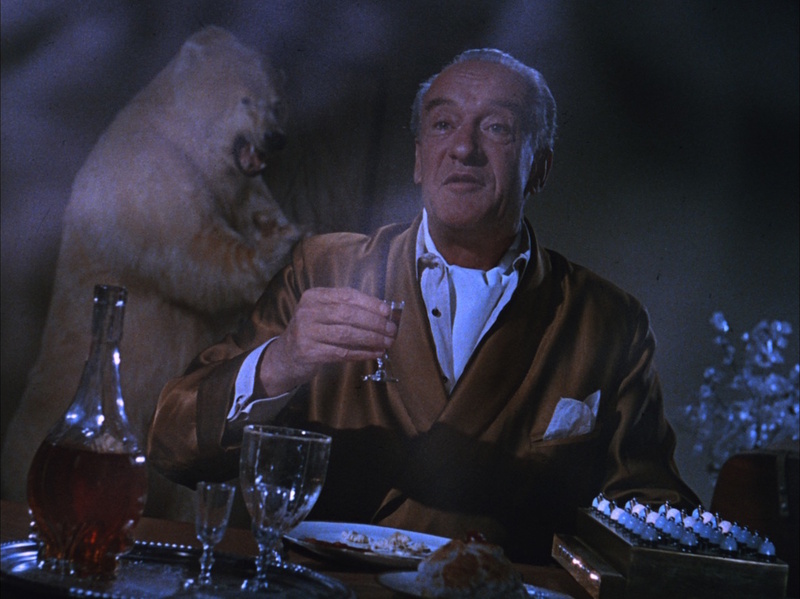 Zero sported a smoking jacket and ascot when in the cold confines of his lair, as George Sanders does here. It’s an affectation that’s seriously out of date culturally and in terms of what we’ve come to expect from the villain in modern media. But Sanders, effortlessly suave actor that he was, wore it well, even if it had the effect of making Mr. Freeze seem less colorful. That said, Sanders is superb, bringing a little Bondian panache — and a super-air-conditioned mountain hideout — to the Gotham City surroundings. The plot’s pretty convoluted — involving, in part, a bunch of Batman and Mr. Freeze doubles, a princess and the kidnapping of a ballplayer — but by the end you feel like you’ve been on a journey: It’s a two-parter packed with activity and adventure. … but the absolute best part of the episode — the one element of Mr. 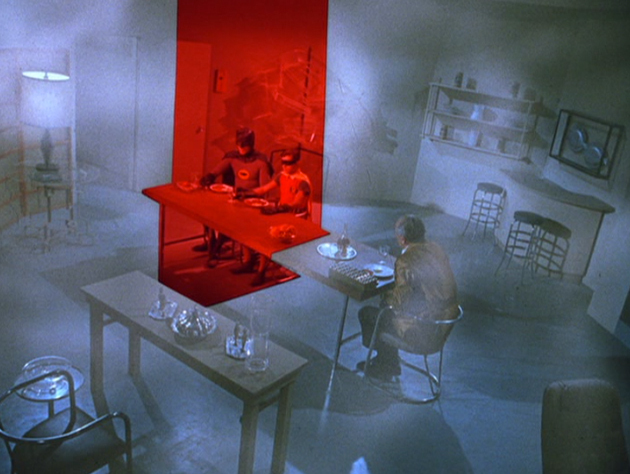 Freeze that should have been carried through to other episodes and into the comics — is the red/blue warm/cold effect in the lair. I remember actually feeling scared for Mr. 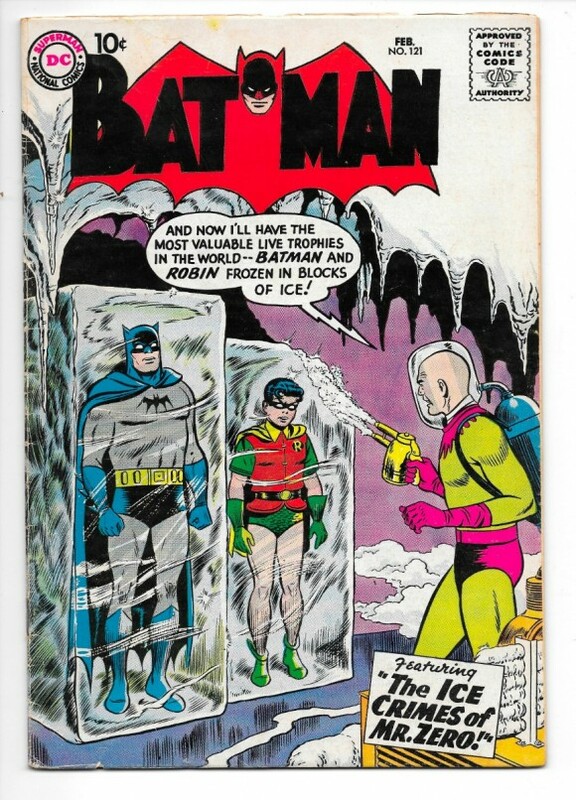 Freeze when he was stifled in the warmth once Batman and Robin defeated him. Man, I wish they brought that back. NEXT: The JOKER returns to the Countdown — but which episode is it? These episodes have to have been among the most expensive produced in the Batman series — and the results were well worth it, IMHO. 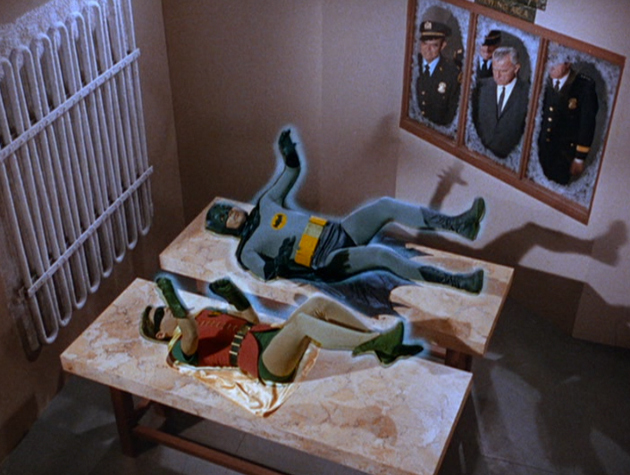 By the show’s second season, superimposed “sound effects” (“Pow!” “Zap!”) in the batfight scenes were deemed too costly, so cheaper full-frame sound-effect insertions were adopted instead. These Mr. Freeze episodes not only have the superimposed batfight blurbs, they are *full* of other superimposed optical effects: The “red/blue zones” and “frosty air” in Mr. Freeze’s hideout; the pulsing glow around his flash-frozen victims (Princess Sandra’s servant as well as Batman and Robin); and the freeze gun’s heat-ray mode (a feature that never made it into later Mr. Freeze episodes). In addition to those postproduction costs, the episodes featured the use of a skywriter and, in what at least looks like non-stock footage of a helicopter. Ka-ching! Ice? In July? This is just a phenomenal episode. Ice Skating Rink. The Ice Cream Truck. The Polar Bear in the Mountain Hideout. Blocking off sections hot and cold…you could go on all day about these 2 episodes alone.